A frying pan, frypan, or skillet is a flat-bottomed pan used for frying, searing, and browning foods. 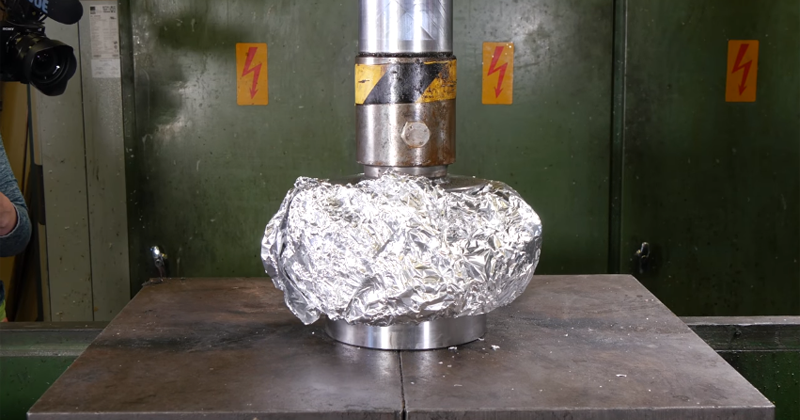 Since all aluminium foil things like Aluminium Foil Ball are trending This man decided to do something similar, A frying pan out of aluminium foil. But cooking with aluminium is pretty bad as it bioaccumulates.